What is also important to notice is the source of the protein. The source dictates the quality not the quantity. 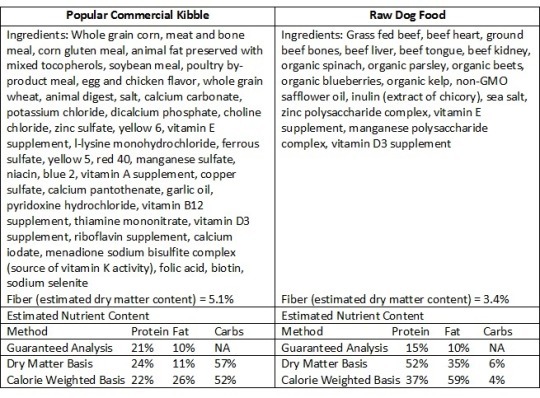 Corn, wheat and animal byproducts – common ingredients in kibbles – all register on the protein index but should not be fed to dogs or cats. Soy is also commonly used and should be fed sparingly, especially to intact animals intended for breeding, as it is a phytoestrogen (plant estrogen); organic soy is preferred. • Whole grain corn: sugary carbohydrate; inferior quality protein; a common cause of food intolerances; replaces high quality animal-based protein; high in harmful lectins; genetically modified unless stated as organic. • Poultry by-product meal: Covered extensively in our book. • Corn gluten meal: sugary carbohydrate; inferior quality protein; robs the food of higher quality animal-based proteins; high in harmful lectins; genetically modified unless stated as organic. • Whole grain wheat flour: inferior quality protein; replaces high quality animal proteins; contains gluten and lectins; major cause of food intolerance. • Animal fat: according to AAFCO, animal fat is “obtained from the tissues of mammals and/or poultry in the commercial processes of rendering or extracting.” This is a rendered product from an unnamed source. • Soybean meal: major cause of food intolerances; causes flatulence; contains harmful lectins; endocrine disruptor; goitrogenic; phytoestrogens activate the expression of estrogen-target genes; genetically modified unless stated as organic. • Meat and bone meal: mystery meat from unnamed animal source; implicated to contain high levels of fluoride; unsavory rendering process; other issues as previously listed. • Animal digest: according to AAFCO, this is “material which results from chemical and/or enzymatic hydrolysis of clean and un-decomposed animal tissue.” The source of the “animal” used is unnamed. ….and this is just a listing of the high quality protein. I also approve of the organic and GMO-free functional carbohydrates such as blueberries, beets and spinach. 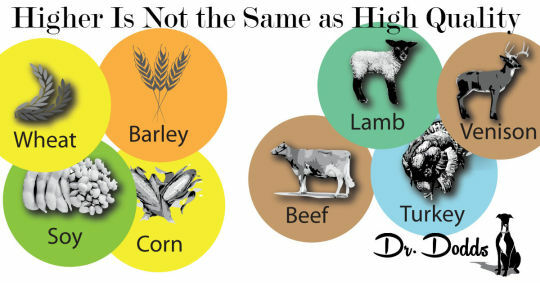 • Dairy products made from goat or sheep sources, including milk, cheese and yogurt (preferably organic). • Eggs (preferably free-range and organic). • Fish that are low in mercury, including sardines, wild-caught Alaskan salmon (avoid farm-raised), Pollack and catfish. Avoid high-mercury fish such as tuna (especially albacore or white tuna), King mackerel, tilefish, shark and swordfish.